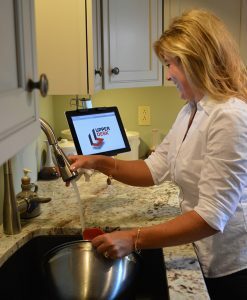 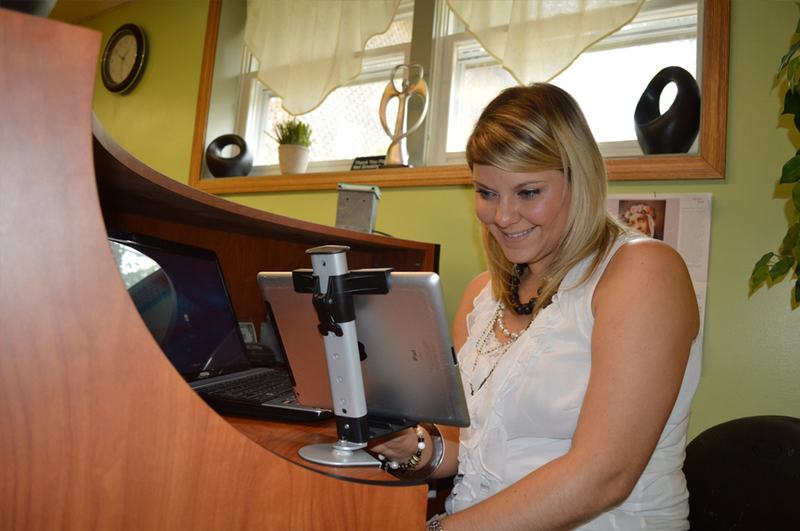 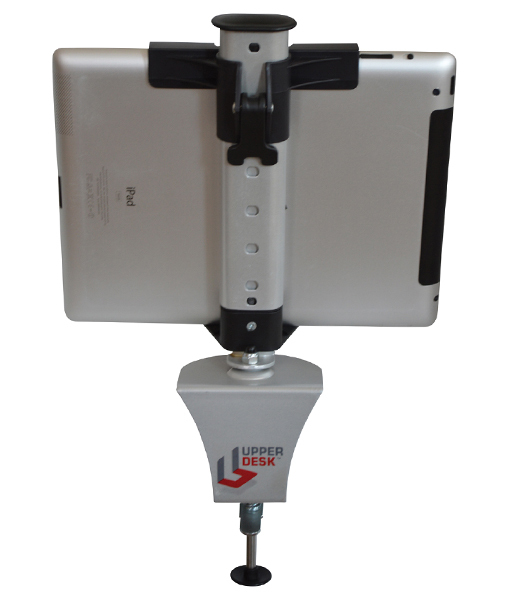 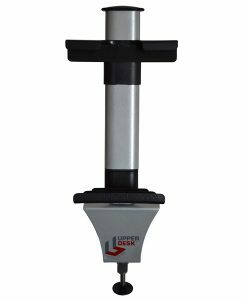 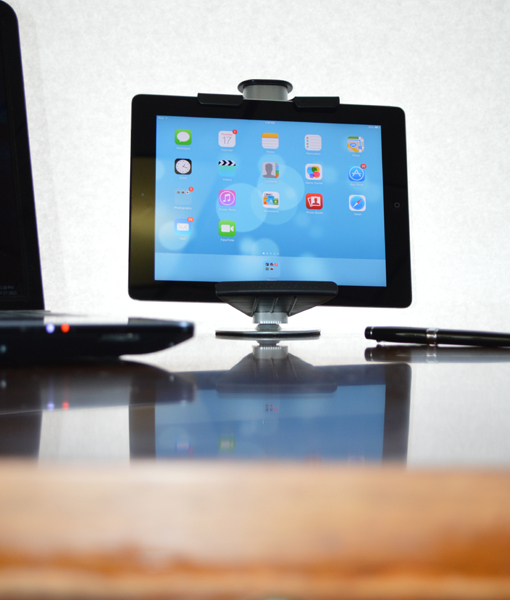 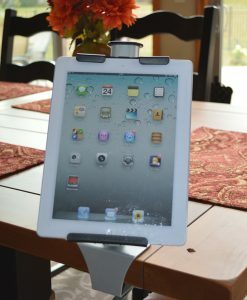 Upper Desk portable table mount fits all sizes, makes, and models of tablets and smart phones, with and without cases. 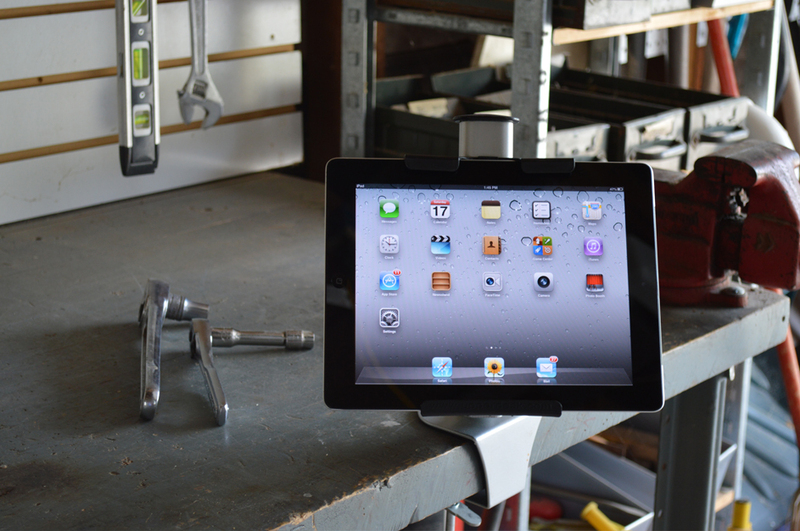 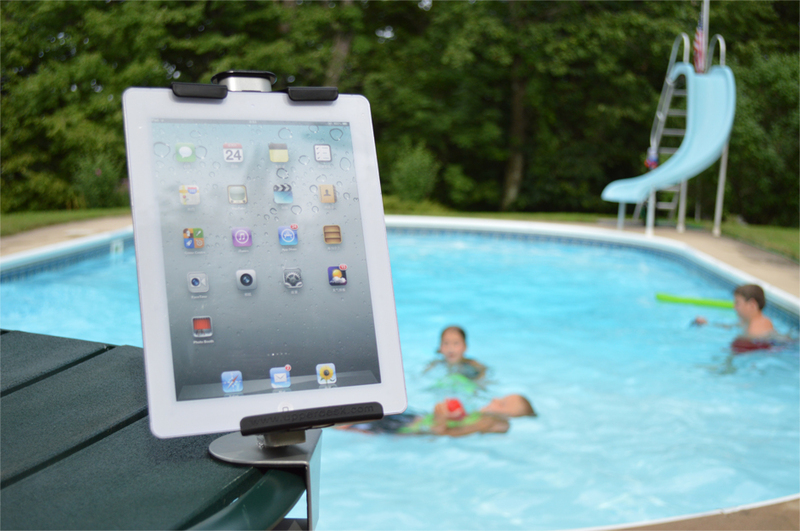 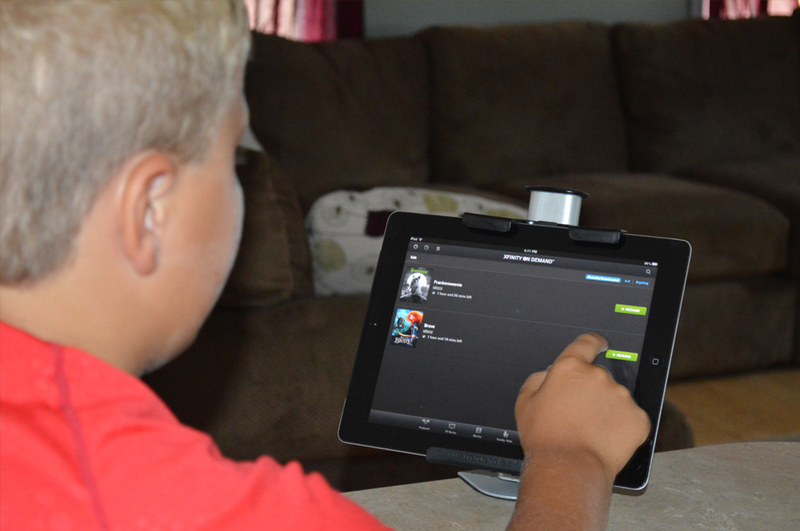 Engineered to turn almost any table into a station for your tablet, it saves valuable space. 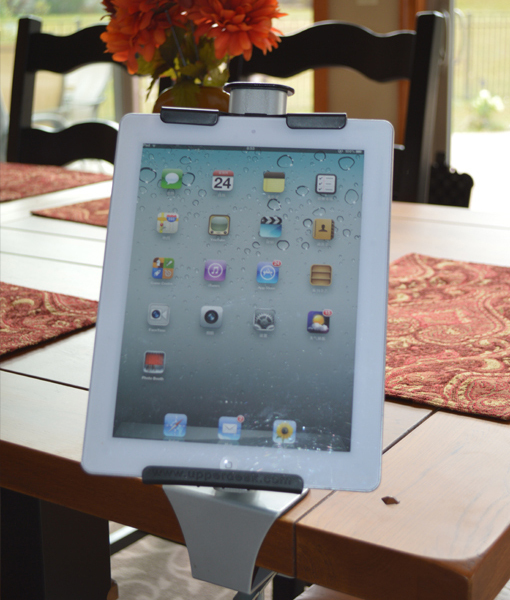 Perfect for kitchen islands, tables around your home, and shelves in your office. 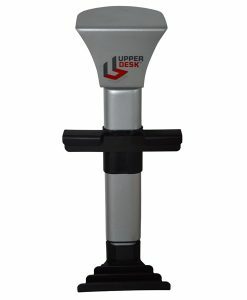 Upper Desk places technology where you need it while you perform your daily tasks in and around the house, kitchen, garage, dorm or office. 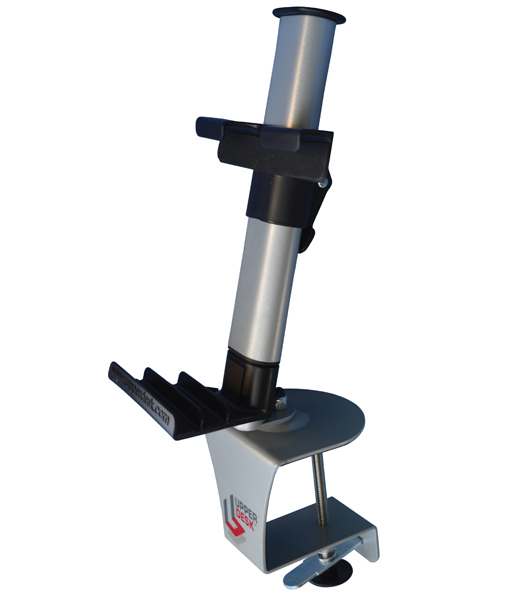 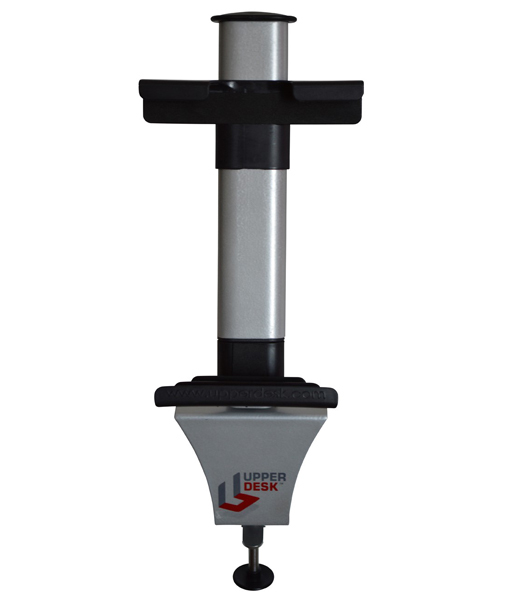 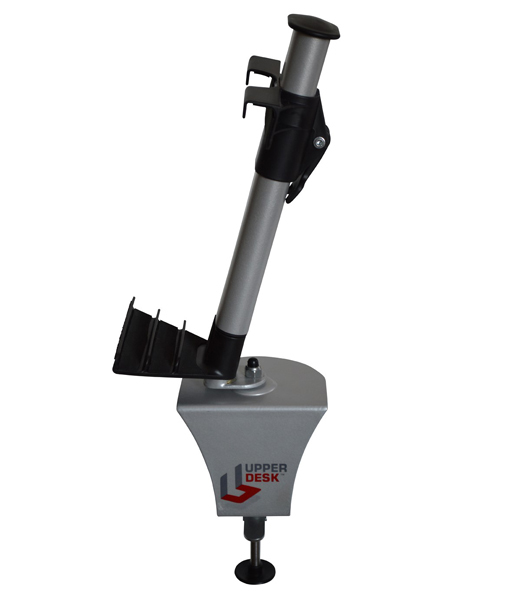 Constructed of durable powder coated metal and high density plastic.